Loeb versus Gronholm: the rematch! Sebastien Loeb will renew his rivalry with former FIA World Rally Championship sparring partner Marcus Gronholm when he makes his X Games debut in Los Angeles later this month. 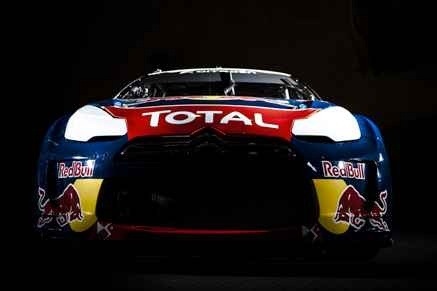 Loeb, currently chasing his ninth WRC title with the factory Citroen team, will drive a 545bhp Citroen DS3 XL in the Global Rallycross Championship event, where freestyle motocross star Travis Pastrana will also be in action. French legend Loeb’s participation in the X Games actually dates back to 2008 when Citroen backer Red Bull invited him to go up against Pastrana, another of the energy drink maker’s athletes, who has tackled selected WRC events in the past. Loeb’s highly modified DS3 XL (standing for X Games and Loeb) is based on a rallycross machine built by Hansen Motorsport. Loeb has already tested the DS3 XL in preparation for the rallycross section of X Games, which uses a mixed-surface course featuring a 20-metre jump. He will face tough opposition from Gronholm, who has won the opening two events of the Global Rallycross Championship season in a Best Buy Mobile Ford Fiesta Mk7.